We began our exciting second full day in Montreal with a short jaunt to the Church of St. Andrew and St. John to see the Casavant organ, originally built in the 1930s. 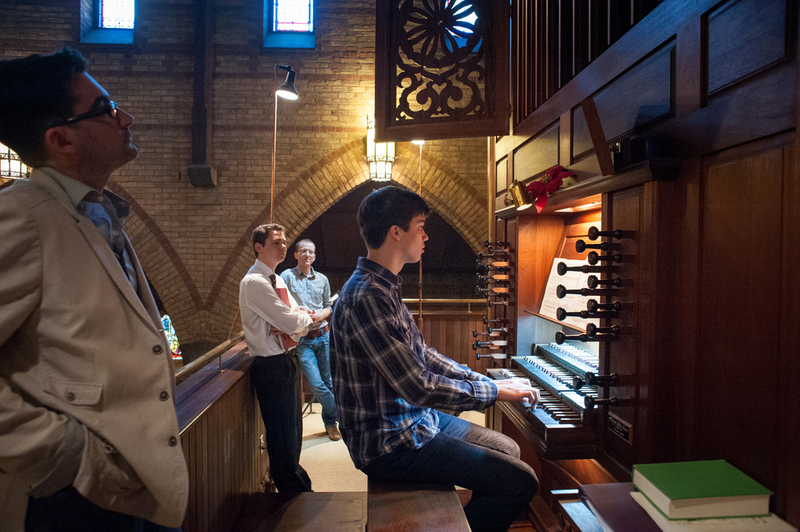 We were told the Casavant of St. Andrew and St. John was “The Cadillac of Casavants.” It was such a luxurious instrument with a myriad of colorful sounds. 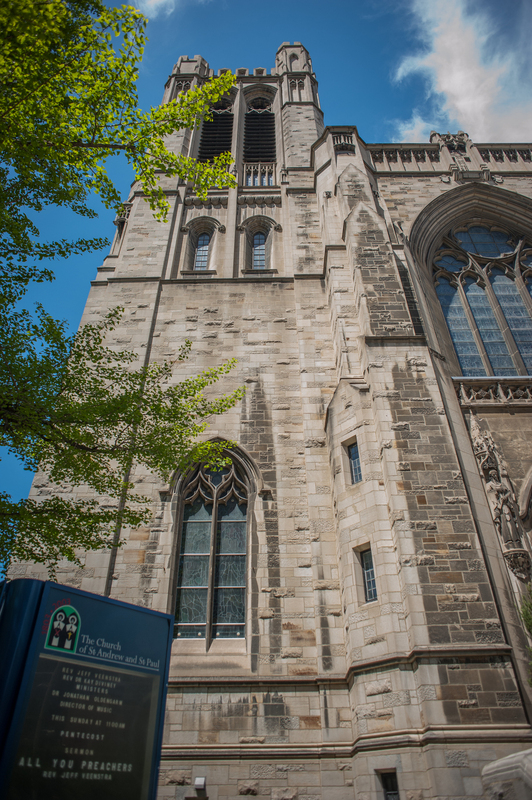 Because the organ was restored during the neo-classical era, many changes have been made to it over time. The sanctuary of St. Andrew and St. John was a very warm space, and the stops of the organ packed a punch! onathan Oldengarm talking with us about the “Cadillac” Casavant organ. Our next stop was the North German organ at The Church of St. John the Evangelist. 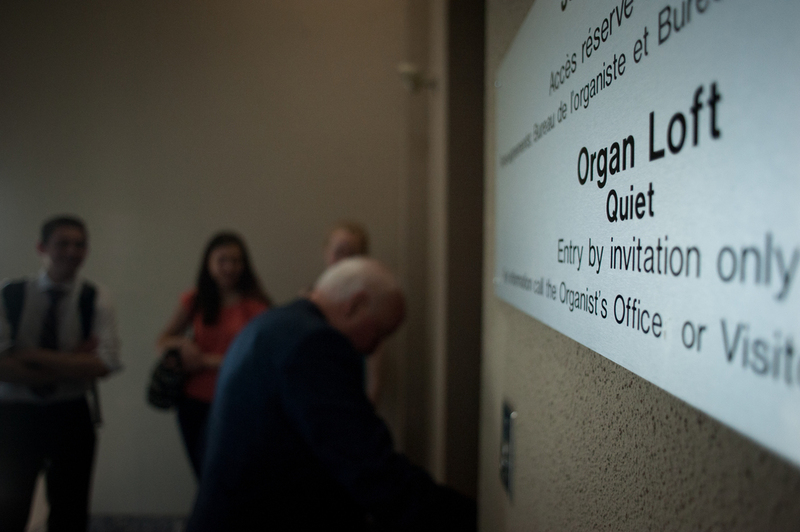 Additionally, the French-influenced stops on this organ makes it very versatile for diverse repertoire. The flat pedal board and heavy tracker action were a challenge to get used to at first. However, works by Bach and Buxtehude translated exceptionally well to the instrument. Karen Christianson “wowing!” us with the Buxtehude Praeludium in E minor, BuxWV 142. Helping with registration is Federico Andreoni, the music director at St. John the Evangelist. David von Behren playing the Bach D Major Prelude and Fugue, BWV 532 with registration help from Federico Andreoni, the music director at St. John the Evangelist. e ended our organ-playing journey for the day at the Oratory of St. Joseph. After taking a cab to the Basilica, we hiked the stone steps up to the sanctuary. Once there, we listened to a recital of Boely, Lemmens, Franck and Vierne before we had a chance to play some ourselves. 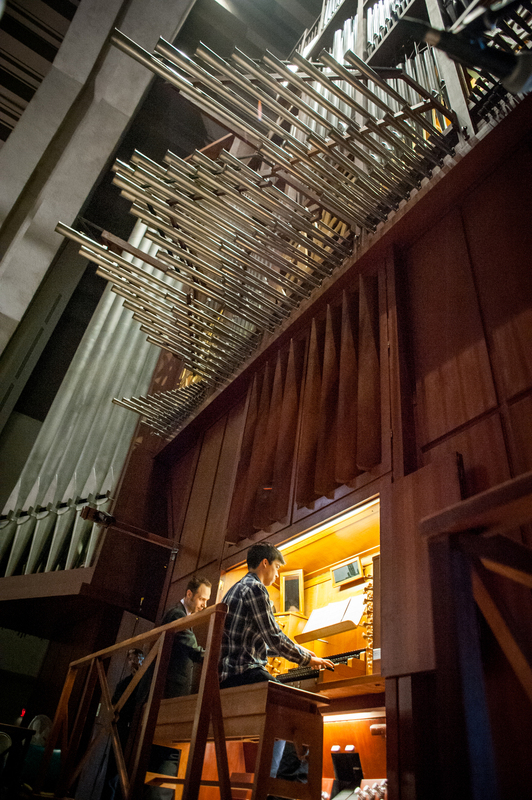 From the Bach Toccata and Fugue in d minor to the Choral Variations by Tournemire, the robust, colorful organ brought our repertoire to life. Lingering tourists and recital goers stayed around to hear us play the mighty instrument and clapped for us! Hiking the steps to the Oratory of St. Joseph in Montreal, Quebec! he en chamade trumpets at the Oratory of St. Joseph! Back at Joan’s house (our hostess), we were treated to a wonderful dinner. We then took cabs to the airport to depart for Paris. 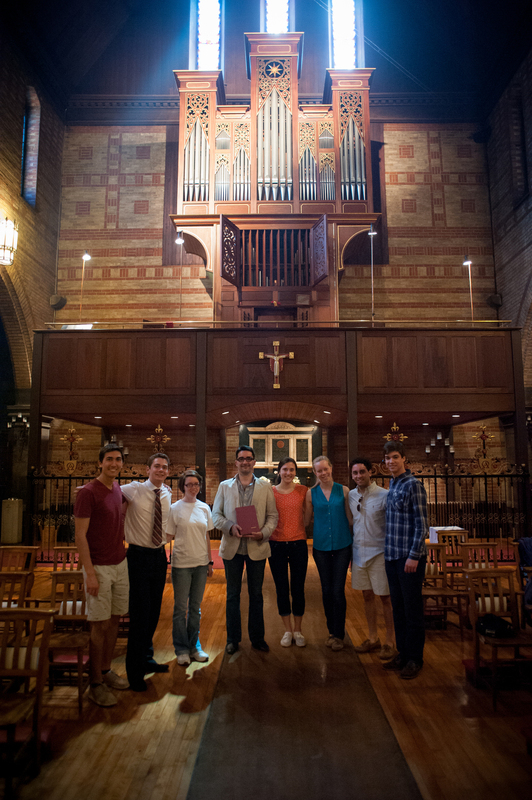 Harvard Organ Society with Joan Ivory, our hostess! Currently as I write this, we are on a 6.5 hour flight from Montreal to Paris. We took off at 11:00 p.m., and it will be late morning when we arrive in Paris. I’m excited for the journey ahead!